"There are not enough words in the English language to describe what a pleasure it is to hear Dr. Stacee speak. She is a dynamic and engaging presenter. She is at once an expert, a teacher, and your best friend. Theodore Roosevelt said "People don't care how much you know until they know how much you care." Dr. Stacee embodies this in every way. She cares about the audience as much as she cares about the topic. It's truly a pleasure and a privilege to know her." “'Otherness' is the new black and we need to learn to wear it with pride. Dr. Reicherzer is a talented and engaging presenter who inspires audiences to self-awareness and celebration of diversity." 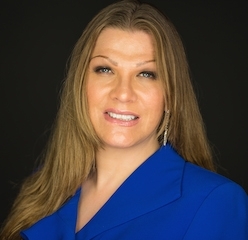 "Dr. Stacee draws upon a combination of professional expertise, personal experience, humor, and humanity to present a lively, informative, and thorough overview of providing care for transgender clients. You will walk away from her presentation with the basic knowledge you need to provide quality care to the transgender community, and what's more, you will enjoy the process." I have had the pleasure of hearing Dr Stacee on a couple of occasions, and as the Keynote speaker at the LPCANC conference I enjoyed her energy, humor, and ability to keep her audience engaged. Brilliant, inclusive, motivational are the first three words that capture the transformative presentation grace of Dr. Stacee! Balancing topics of vulnerability, strength, and resilience from social and personal barriers impacting women were facilitated with elegance, competence, and skills that assisted me and my observations of the other group members to not only mentally join in conversation but to emotionally connect on a meaningful level. The felt significance from the experience transcended my perceptions of self and others to a deeper level from her group leadership style! I will be on the lookout for her next presentation as personal growth from an experience is monumental to instilling meaningful growth promoting connections! Twenty-five doctoral students were captivated by the educational and inspirational presentation by Dr. Stacee Reicherzer. They continue to write about and talk about her “Finding the Warrior Within” presentation and each consider it a life-changing presentation. I’ve spoken to community organizations, professional communities, and workplace networks. Message me about creating a workshop or group consultation for your organization. We’ll tailor it to meet your needs. You’ve worked hard to achieve success in your professional life. Other things may be going well enough for you: family, relationships, finances. Even when all of the boxes are checked on accomplishments and positive life experiences, there are those moments that show up when it seems like something’s missing. You start doubting yourself, feel like an imposter in the meeting or while working on a project. You work harder to overcome the doubt, to shake a sense of emptiness. It bleeds into other life areas and you realize before long that your personal life, your health, or other areas seem to be falling out of balance. Before you know it, even as successful as you are, you feel unfulfilled, uncertain, and unhappy. This isn’t the end of the line for us as leaders, however. It’s part of a normal cycle that occurs with success; and so long as we recognize and respond to it with honesty and clarity, we’ll weather the storm and gain some great insight along the way. In this keynote presentation, Dr. Stacee will help you recognize your inner saboteur before she strikes again and share strategies to keep you grounded during the moments of doubt. With over 15 years’ work as a therapist, writer, public speaker, and higher education leader, Dr. Stacee’s inspired and entertained audiences around the globe. You can expect to leave her keynote with a renewed appreciation of your voice, your talent, your intellect, and yes indeed, your spice! We’ll use this circle group space to deepen our sense of personal power and voice; bringing these parts of ourselves to the areas of our lives where light is badly needed. The tools for overcoming shame, self-doubt, a need to please, and other sources of hurt are already here and ready for us to pick up, sharpen, and use. It simply takes creativity and a willingness to reclaim what is already ours. Come ready to feel alive, authentic, and welcomed into your fierce and fabulous self! We’ll call it baggage…the stuff we thought we’d left behind long ago—the old hurts, regrets, and insecurities—that have a way of showing up in our academic careers. We aim low, create conflict, or procrastinate our way away from something we really want because success just feels too terrifying. This webinar helps participants move into the mechanisms of why such self-sabotaging behavior occurs and how to get out of the tendency toward it. Most importantly, participants create a path to recover the love for the academic profession while learning to sidestep self-sabotage and embrace opportunity. Overall, webinar participants will identify how self-sabotage shows up in their academic careers, clarify the roots of self-sabotaging behavior, and generate constructive methods for sidestepping self-sabotage before it happens. This webinar is free for members and nonmembers. Dr. Stacee Reicherzer serves as clinical faculty in the SNHU Global Campus counseling program. “Dr. Stacee,” as she is professionally known, is a licensed professional counselor-supervisor from San Antonio, Texas and now resides on the South Coast of Massachusetts. She writes, consults, and presents extensively on the topics of diversity, personal empowerment and fabulousness, and creativity as a source of healing. Have you ever witnessed a bold and confident individual who owns her or his skills, intellect, sexuality, presence, or other aspect of self and wished you could do something similar? You may experience a sense as an outsider looking in who’s yearning to break free and dance, make love or art with abandon, or simply to hold your presence in important relationships. This fun and experiential group workshop will uncage your magnificence and sass. If you’ve found yourself doubting your ability to provide mental healthcare for a client based on the person’s race, ethnicity, gender or sexual identity, or religious tradition as it differs from your own, you’re not alone. Alternatively, you may find yourself saying “People are people” and then feel ashamed at times you noticed that this wasn’t as real for you as you’d like, and that you do hold biases. Awareness of ourselves and our limits as professionals is an important component of self-care. Yet, what if we could broaden our skills, learning to care with deeper clarity and empathy for the “Other?” What if we could learn to actively dismantle the barriers to care and create culturally-competent practices that make a real change for people? In this shame-free learning experience, we’ll go to task on unlearning the things that keep us out of connection with clients from backgrounds that reflect oppression stories which differ from our own. This workshop will provide participants with a set of tools for culturally competent practice with clients from traditionally marginalized backgrounds as well as those whose stories of feeling cast out are centered in their families and communities of origin. Part skill development, part self-exploration, the workshop’s aim will be to increase the quality of care you provide to clients from backgrounds in which racism, ableism, homohatred, transphobia, and forms of religious intolerance have factored into the problems in living that they now experience. Together, we’ll uncover the uglier parts of mental health history for oppressed groups that include overdiagnosis and pathologizing of culture, agenda-based clinical practices that deepen risk and community crises, and other parts of the work that maintain a cycle of underserved communities producing people with never-served mental health concerns. Participants will engage in self-exploration using tools that are based in Joseph Campbell’s The Hero’s Journey. These tools are ready for immediate use in clinical practice with clients from a variety of ages, backgrounds, and ability levels. Come join our fun, inspiring day of learning to celebrate the spirit of culturally competent clinical practice. If you’ve devoted any portion of your clinical work to oppressed persons or groups, you know how depleting the experience can be. Client stories of extreme mistreatment that are compounded by a difficult social and political climate can often leave us feeling helpless to affect change, even cynical. Drawing from the latest research on the impact of bullying, humiliation, isolation, and other features of Life Among the Left Out, we’ll take the evidence into the experiential. This session will present a toolkit that Dr. Stacee developed called Finding the Fierce for addressing social pain, humiliation, and that familiar but often unnamed sense of haunting that so many rejected people experience. The toolkit is immediately usable in clinical practice and contains recommended modifications that can be made to address different age and cultural groups. Participants will leave the session with new information as well as practical resources that will help them empower individuals from oppressed groups who’ve experienced social rejection. This will include an invaluable tool that supports therapist re-centering in a spirit of joy and optimism for the work.